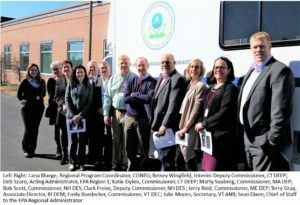 The Ecological Connectivity Working Group formed from Resolution 40-3 concerning ecological connectivity, adaptation to climate change and biodiversity conservation, came together for a second face to face meeting on June 4th-5th in Essex Junction, Vermont. 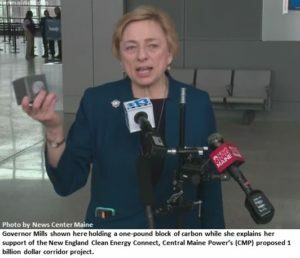 Here, representatives from Eastern Canada and New England reviewed their compiled data and the progress they have made over the last year in order to implement a plan to address concerns put forward in Resolution 40-3; specifically how to support the Northern Appalachian-Acadian Forest, the most intact and contiguous temperate broadleaf forest in the world. 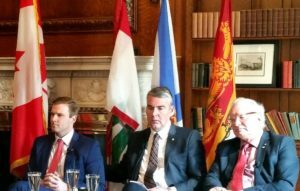 Representatives were tasked in creating a brief report to update governors and premiers with their efforts. The group was given four years to deliver a comprehensive report to Resolution 40-3 and the 2018 NEG/ECP Annual Conference in Stowe, Vermont marks the half way point. After two days of debate and constructive insights, the working group compromised on seven points of action for the updated report. This action plan coordinates conservation and adaptation efforts across various state and provincial departments as well as take into consideration the efforts of other progressive groups working on similar connectivity efforts. We look forward to the continued work of this group for the next two years.